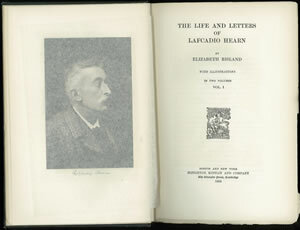 The Life and Letters of Lafcadio Hearn. With illustrations. 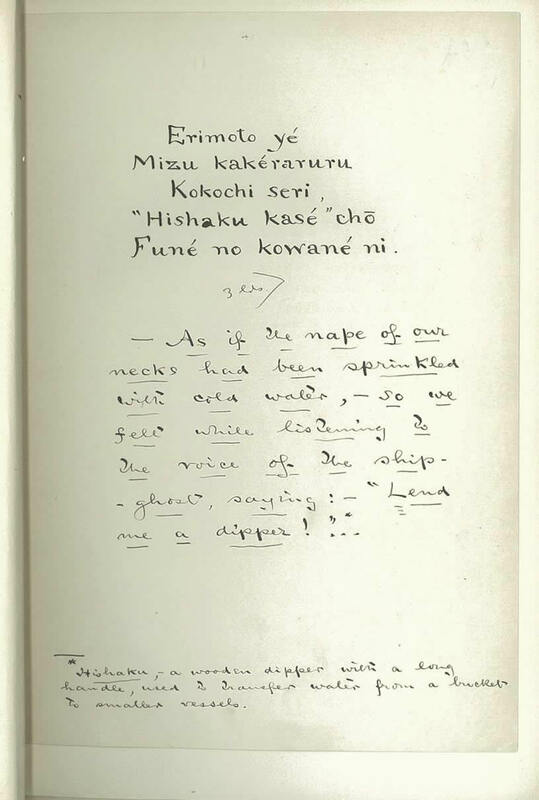 In 2 vols. Boston and New York: Houghton Mifflin and Co., 1906. 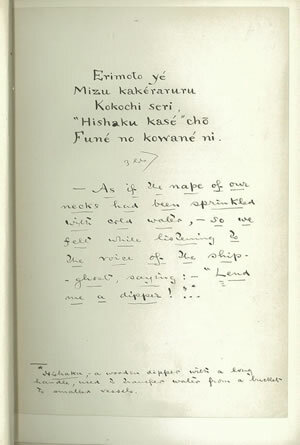 First edition, one of 200 copies bound uncut and containing a page of Hearn's original autograph manuscript (in this copy, notes regarding a haiku of Funayūrei; Japanese marine ghosts; Erimoto ye / Mizu kakeraruru / Kokochi seri, / "Hishaku kase" cho / Fune no kowane ni. / etc.). Original dark green cloth with paper spine labels and extra labels tipped in at the rear. 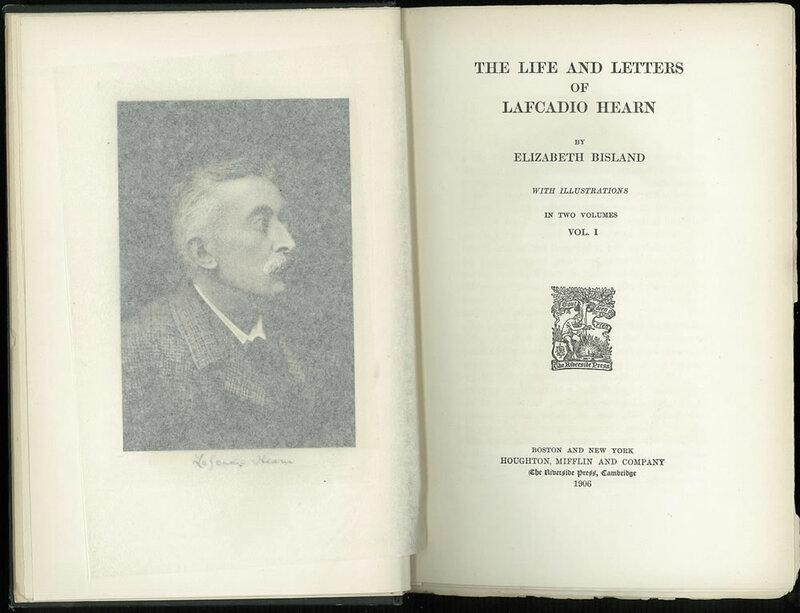 Titles of labels are; LAFCADIO / HEARN / LIFE AND / LETTERS / I (and II) / ELIZABETH / BISLAND / First Edition. With frontis.and illus. Title label of spine sunned and spine sl.scratched. All edges somewhat darkened. Exlibris of Charles Williston McAlpin to front paste down of each vol.